Who is Collier Resources Company (CRC) and what does the company do? In the early 20th Century, advertising magnate Barron Gift Collier came to Southwest Florida and, inspired by the promise of this land, he bought more than a million acres and was instrumental in creating Collier County. Today, nearly 100 years later, two family companies – The Barron Collier Companies and Collier Enterprises – continue to realize his vision through a commitment to integrity, strong business values and a deep respect for the land. Both companies engage in businesses that include agricultural operations, land management, real estate development, oil and gas production, as well as the conveyance of land for preservation. Together, the two companies manage the family’s mineral holdings through Collier Resources Company (CRC) and are part of the more than seven-decade history of successful oil exploration and development in Southwest Florida. How many mineral acres does CRC own? CRC is the largest private mineral company in South Florida, managing and developing more than 800,000 mineral acres in Collier, Lee and Hendry Counties. What is the history of oil operations in Southwest Florida? The first oil discovery in Florida was made in Collier County by the Humble Oil and Refining Company, known today as ExxonMobil, in 1943 on Collier minerals in the Sunniland Oil Trend, located just south of Immokalee. Since that time, eight Southwest Florida commercial oil fields have produced more than 120 million barrels of oil from the Sunniland Oil Trend at some of the highest on-shore per-well flow rates in the country. In 1977, the Sunniland had a peak year, producing more than 14,000 barrels of oil per day. For many years, Humble Oil and Refining Company was the predominant operator in the Sunniland Trend. 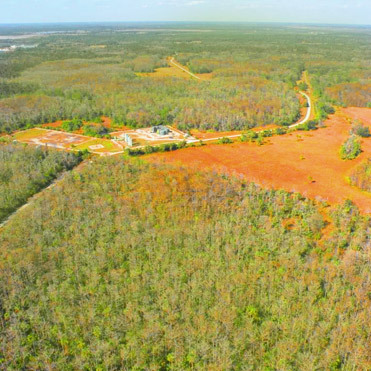 In addition to Sunniland field, it discovered and produced oil under leases from Collier Resources Company (CRC) in the Big Cypress National Preserve at Bear Island beginning in the mid-1970s and at Raccoon Point beginning in the early 1980s. ExxonMobil later sold its interest to Calumet Florida, LLC in 1993. Today, BreitBurn Florida, LLC, the successor to Calumet, continues to produce oil from the Bear Island and Raccoon Point fields within the Big Cypress National Preserve, as well as three other fields located north of the preserve, all within the Sunniland Oil Trend. What is the Sunniland Oil Trend? The Sunniland Trend is a well defined, onshore hydrocarbon-bearing geological layer that stretches from Fort Myers to Miami. It is located on the northeast flank of the South Florida basin, the largest unexplored geological basin in the lower United States. Sunniland Oil Trend wells produce from limestone hills at an average depth of more than two miles underground and its fields contain very low amounts of gas, making them low pressure and requiring submersible pumps to bring the oil to the surface. Oil from the Sunniland Oil Trend is of the heavy-sour variety with a consistency of liquid tar. Its refined products include automobile and aviation fuels, various grades of diesel fuel, lube oils and asphalt. Oil and gas production has been continuous from Southwest Florida oil fields since the Sunniland Oil Trend's first discovery at the Sunniland Field in 1943. Over the past 70 years, 14 named discoveries have been made in the trend and an excess of 120 million barrels of crude oil have been produced from eight commercial oil fields. Who regulates oil and gas activities in South Florida? The number of agencies regulating oil and gas activities depends on where the activities are taking place. Generally, the State of Florida regulates oil and gas activities through the Department of Environmental Protection’s Oil and Gas Division. However, should an oil and gas activity be located in wetlands or on federally-owned surface lands, such as the Big Cypress National Preserve, then one or more federal agencies, such as the U.S. Army Corps of Engineers, the U.S. Fish and Wildlife Service or the National Park Service (NPS), must also approve such activities. 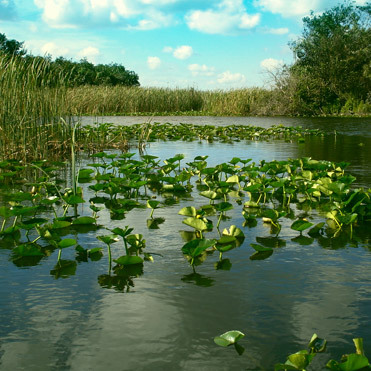 What federal agency regulates oil and gas activity in the Big Cypress National Preserve? The lead federal agency in permitting oil and gas operation in the Big Cypress National Preserve is the U.S. Department of the Interior's NPS. The NPS Ochopee office has oil and gas specialists who monitor existing operations and work with oil and gas operators in proposing new operations. Consultations with, or direct permits from, U.S. Fish and Wildlife Service, the U.S. Army Corps of Engineers and Environmental Protection Agency are also required. Have any regulatory agencies ever found that oil exploration and development were adversely effecting the environment? No. In fact, twice during its 37 years of regulating oil and gas activities, the State of Florida has examined the effects of oil and gas exploration and drilling on the environment of Southwest Florida and concluded that no detrimental impacts to the environment have resulted. Congress twice concluded the same in authorizing the Big Cypress National Preserve Enabling Act of 1974 and the Big Cypress Preserve Addition Act of 1988. 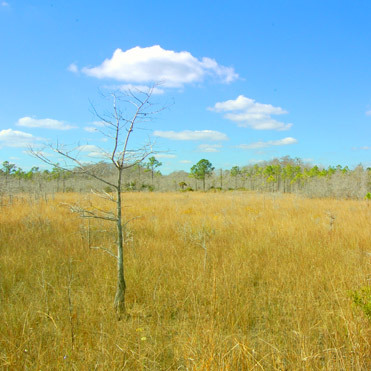 The NPS in its 1992 programmatic environmental impact assessment of the Big Cypress National Preserve's General Management Plan, and more specifically its Mineral Management Plan, published a matrix of environmental protection requirements developed specifically to provide effective protection to Southwest Florida's most sensitive lands. Is there is oil drilling taking place in the Everglades? No. 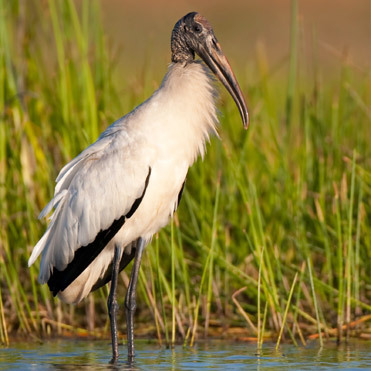 There has not been any oil exploration or development activities allowed in the Everglades since 1957, when all oil and gas rights were extinguished by the act that created Everglades National Park in 1947. Interestingly, the road leading up to the observation tower at Shark River Slough and the pad the tower sits on were originally built for an exploratory oil well. Additionally, there is a long history of oil exploration and development in the Big Cypress National Preserve and the area has had active oil production since the inception of the preserve in 1974. In fact, the Big Cypress Preserve was established as a preserve, in part, for the purpose of maintaining certain existing rights – one of which was oil and gas exploration and development. Has there been a history of oil spills in Southwest Florida? In more than 70 years of producing oil in Southwest Florida, no major spills have occurred in producing oil fields. When small spills have occurred, most or all of the oil has been recovered with cleanup efforts. Statistics indicate that most incidents have occurred around well heads and tank batteries and have been contained on limestone pads precluding environmental impact. Incidents occurring off limestone pads and into standing water, if present, are subject to a spill response plan, an operating requirement that is practiced every year and incorporates state and federal agency cleanup and vegetative restoration supervision. Southwest Florida oil fields also include production monitoring systems to alert field personnel and minimize spills. Together, with federal and state regulators, Collier Resources Company is committed to protecting and preserving the environment and ensuring oil exploration and development activities have a minimal impact on the surrounding environment. Have past oil development and production activities contaminated groundwater? No. It has been suggested that groundwater resources could have been contaminated at the Collier-Hogan well site south of Lake Trafford because third-party’s claimed nearby wells were not properly plugged. However, a review of the public records found this to be factually inaccurate. How are groundwater resources protected during exploration activities? Four layers of steel pipe and a layer of concrete separate the oil being produced in the well at depths greater than two miles from the aquifer. This will provide groundwater resources with five layers of protection. Consequently, the risk of water contamination is extremely unlikely. For more information on this, please click here for a groundwater modeling analysis conducted by Conestoga-Rovers & Associates. How big is the risk of H2S being released from the well? There has never been an evacuation from a drilling site in South Florida due to a gas release or explosion since oil production was first established in 1943. And, in fact, in South Florida, there is so little gas and pressure that there is very little threat of H2S or any gas being released. Though risk is minimal, as a precautionary measure, the Florida Department of Environmental Protection (FDEP) still mandates that any company requesting a drilling permit must first establish a safety plan that includes H2S detection. How is H2S monitored and what happens if it is detected? H2S, if it were present, would be located in the targeted reservoir, which is approximately 12,000 feet below the surface. Accordingly, once the well reaches a depth of 9,000 feet, the operator will have a contracted third party safety company on location 24 hours a day monitoring for H2S. Should H2S be detected, alarms will sound at the well site, notifications will automatically be sent to the lessee’s personnel and the well will be immediately shut down. The lessee will then have a safety meeting to evaluate the situation and will not resume operations until the proper safety measures are implemented. How does the 3-Dimensional seismic survey work? A 3-D seismic survey uses sound waves to locate oil formations at great depths, much like an MRI produces a map of the human body. This process is carried out in one of two ways: 1. By drilling small diameter holes and placing small charges underground or 2. By using sets of vibrosis trucks. The drilling process begins by creating a carefully designed grid of small seismic charges and listening devices called geophones on the surface. A drill mounted on a buggy is used to sink a small diameter casing 100 to 150 feet into the earth. A small seismic charge is pushed through and out the bottom of the casing. The casing is then withdrawn, sealing off the charge from the surface and allowing the soil to fall back into place. Once the seismic charges have been placed, geophones are positioned on the surface and turned on. The charges are then individually discharged. The resulting sound waves travel downward and reflect off layers of the earth providing a highly accurate three-dimensional map of all underground structures within the survey area. This map reveals the presence or absence of geological formations similar to those that have produced oil. The second methodology for conducting a survey is the use of vibrosis machines. The grid layout for a vibrosis operation is similar to that used in the drilling/charge process. Instead of a buggy mounted drill, a set of three machines follows the grid pattern and at each designated location the machines stop, set their vibrating pads on the ground, vibrate for 20 seconds and move on to the next location. The machines, although large, are equipped with balloon tires and have a displacement pressure of 26 psi. Which is less pressure exerted on the ground than a pickup truck. To view a video demonstration of the use of vibrosis trucks, please visit the 3-D Seismic Exploration Page. The accuracy of the 3D seismic survey reduces the need to drill multiple exploratory wells and allows more strategic placement of development wells; thus, reducing the impact to the environment. How does the survey determine the possibility of oil? The survey shows whether geological formations or hills equivalent to those already producing oil are present, and if so, the shape, orientation and exact location of those formations. The survey identifies potential oil bearing structures and if potential is found, then a test well is drilled to determine whether or not oil is present. What is the environmental impact of a 3-D seismic survey? When exploring with a 3-D seismic survey, Collier Resources Company (CRC) and its lessees work to develop the most minimally invasive survey plan possible. The lessees also follow a comprehensive list of operational rules and conditions set forth by the Florida Department of Environmental Protection and the industry’s best management practices, including helicopter delivery of survey equipment, use of existing roads and trails, when possible, on-foot surveying, placement and retrieval of geophone listening devices, and use of third-party observers to ensure rule compliance. Isn't the use of seismic charges harmful to wildlife? Seismic charges are generally small. From a only few hundred feet away, charge detonation sounds and feels like a very low frequency thump with very little vibration. The sound magnitude is no greater than a muted thunder clap immediately adjacent to the charge location. No soil is displaced into the air from the detonation because the seismic charge placement process completely isolates it from the surface. Wildlife has not been displaced by this survey activity, but may avoid areas for the very short and temporary survey period in which equipment and human activity is present. How loud will the rig be? Collier County has a noise ordinance that limits detectable levels to 75 decibels in agricultural areas. A typical drilling rig produces 90 decibels at the rig floor, where the operations are the loudest, and at 300 feet from the rig floor the levels are reduced to only 60 decibels. These levels were recorded and confirmed by a consultant on a drilling rig operating in Collier County. Collier Resources Company (CRC) is confident that drilling operations will not violate the noise ordinance. Will the noise from a drilling operation scare wildlife, like panthers, and push them out of their natural habitats? 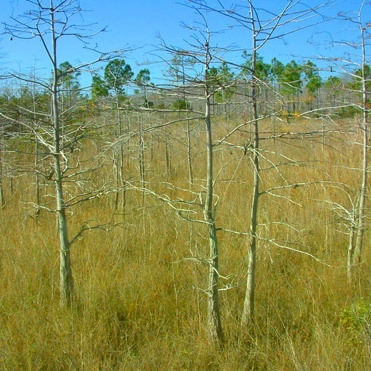 CRC relies on the expertise of regulators and panther biologists to address the issue of impacts to panther habitats; but, notably many respected panther biologists in Southwest Florida have publicly stated that oil exploration and development activities do not impact the panthers in Southwest Florida. In addition, we encourage you to visit the Environmental Stewardship page which displays an image indicating telemetry points of panthers, indicating their prevalence within the Big Cypress National Preserve.